 John Riggins, an MSU forest entomologist with the Mississippi Agricultural and Forestry Experiment Station, said 300 million redbay trees have succumbed to the disease, and related shrubs and trees are susceptible. 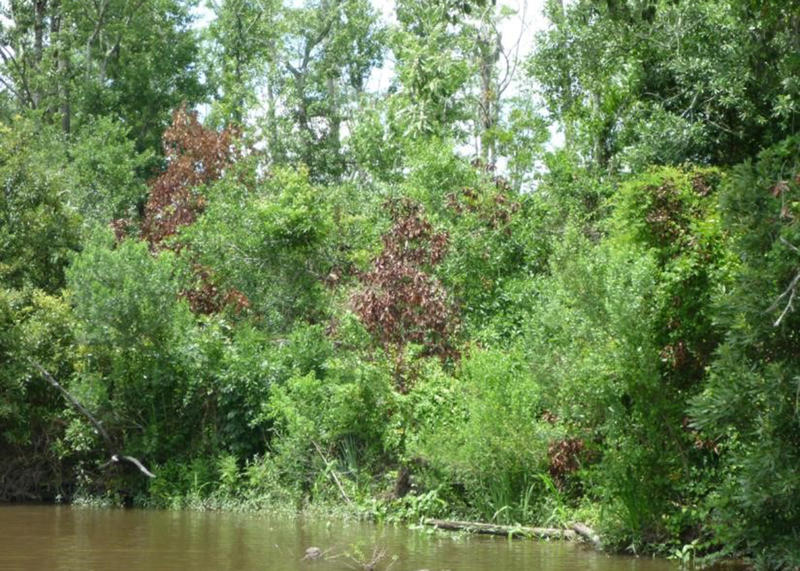 But in 2004, large numbers of redbay trees around Jekyll Island, Georgia, began to die, and researchers began looking for a cause. “They eventually showed that the redbay ambrosia beetle vectors -- or carries and transmits -- the fungus that causes a disease called Laurel wilt,” Riggins said. The redbay ambrosia beetle arrived in Mississippi and was first detected in Jackson County in 2009. That was a 300-mile jump from the next nearest infestations in Georgia and Florida. The insect then jumped to central Louisiana, south Arkansas and now southeast Texas. 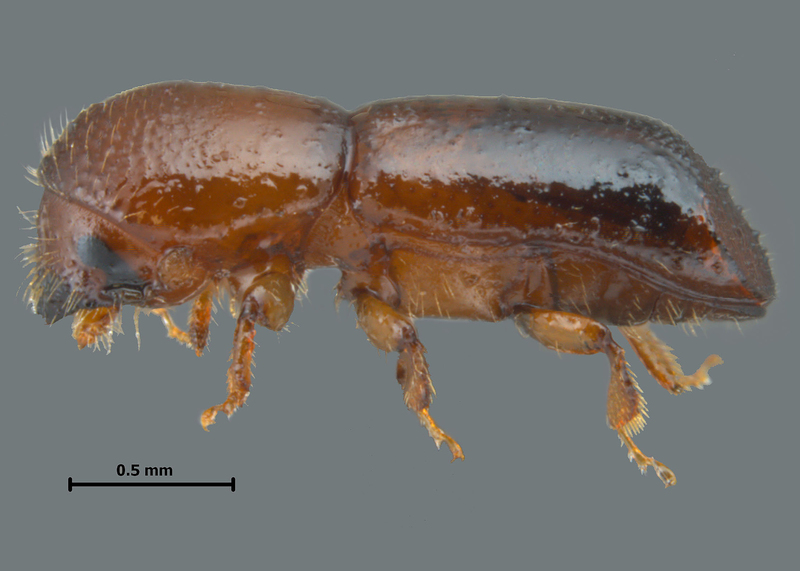 Certain types of ambrosia beetles are native to Mississippi and the United States. Most do not kill healthy trees but primarily attack those that are dead or dying. Neither the insect nor the fungus are native species. However, they pose a serious threat to an entire family of related trees and shrubs, including avocado, sassafras, swamp bay, northern spicebush and others, including some species that are threatened or endangered. Finding the cause of the plant deaths was just the beginning. Researchers then began looking very closely at the nonnative, invasive insect. 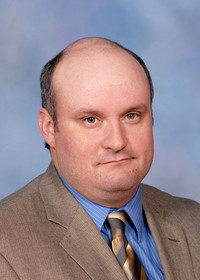 Riggins, who is also an associate professor in the MSU Department of Biochemistry, Molecular Biology, Entomology and Plant Pathology, examined the insects’ genetic material and determined that although they are found from Texas to North Carolina, the insects are genetically identical. Jason Smith, a forest pathologist at the University of Florida School of Forest Resources and Conservation, examined the fungus at a genetic level. Whether it is the flu virus in humans or a fungal disease in plants, Smith said, more genetically diverse pathogens cause greater problems for host populations. The laurel species of trees and shrubs is very diverse, but the single-strain pathogen being carried by the redbay ambrosia beetle is proving fatal to all hosts. The researchers published a paper on their findings April 9 in the journal “Biological Invasions.” It documents the research that found a single founder event for the widespread devastation to the laurel species. Determining how to stop the spread is the next challenge. “It’s been a real tricky problem to figure out how to solve,” Riggins said. “After the insect and disease got here, the fungus was laterally transferred to other ambrosia beetles, making it extra difficult to control. The fact that only one female beetle has to survive adds to the difficulty. “By the time the scope of the problem was understood, the beetle was so well established that there is not much we can do to stop it,” he said. In Florida, the beetle and the fungus it transmits have caused catastrophic damage in some avocado groves. Riggins said there are measures commercial growers can take to minimize the damage in these managed situations. Researchers are now looking at long-term solutions to the problem, including finding and then reintroducing native plants that are resistant to the fungus. In the meantime, losing large numbers of these trees and bushes is having an impact on local ecosystems.